Be inspired by The Kimberley! 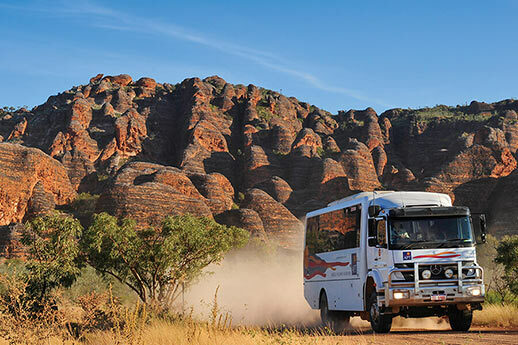 From a relaxing Broome flop and drop, to a cruise along the rugged yet pristine coastline, to a 4WD adventure through the heart of the Kimberley – The Gibb River Road; create your own stories and memories with your Kimberley adventure. The Kimberley Collection can plan and create those experiences for you. 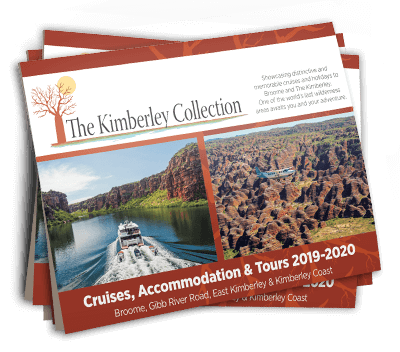 The team at The Kimberley Collection can provide the ‘total travel experience’ offering outstanding destination and product knowledge, tailor made itineraries together with informative and quality documentation. The unique mix of accommodation options will suit couples, families and groups alike. Deluxe resorts and apartments, unique cattle stations and Kimberley wilderness lodges are all available in our program. Featured cruise vessels are the best the Kimberley has to offer, with on-board passenger numbers ranging from 12 to 184 – the perfect choice of vessels to explore this amazing coastline. On the 4WD tours you can choose between classic Kimberley style accommodation and adventure camping. Day touring will provide a snapshot of what the different regions of the Kimberley have on offer. We can also arrange unique local experiences for you including aboriginal community visits, rock art tours and fishing tours to little known areas. Please browse our menu at the top of this page to discover our complete range of Kimberley products. Discover more of Australia: visit our sister website The Territory Collection. Showcasing the finest and most reputable companies offering distinctive and memorable cruises and holidays in the Northern Territory covering both Darwin & the Top End, and The Red Centre. Save up to $800* per couple when you book one of APT’s exciting Kimberley Short Break 4WD and Air Adventures! Choose from seven exciting short break itineraries departing from May to September 2019. See our special offer page for full details. 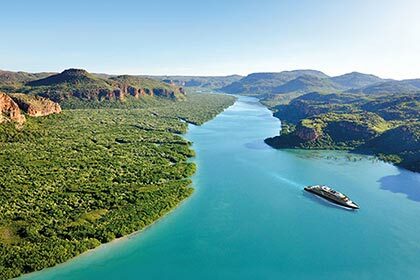 Book a Kimberley expedition aboard Le Lapérouse departing 2 July 2019 Darwin-Broome, and receive one night pre-cruise, one night post-cruise accommodation and €200 per person on board credit in the cruise-only price per booking twin share! Special Travel Offers: *Booking conditions apply, subject to availability. Please ask us for booking conditions when you book. For bookings, call the Kimberley Experts on 1300 550 144 or contact us online.